Is Stage II Vapor Recovery No Longer Required In Your Area? If so, you may be able to save money on your fuel pump hanging hardware by converting to conventional hanging hardware. The Converter Kit is used where Stage II Vapor Recovery Systems are no longer required. The conversion allows the gas station owner the advantage of lighter, less expensive conventional equipment. The Elite Automatic Shutoff 3/4" Nozzle. The Elite Nozzles have the proven reliability of our standard conventional and or diesel nozzles we provide, with upgraded internal components ready for even the toughest winters. The Catlow Converter converts vac-assist vapor recovery systems to a standard 3/4″ NPT thread complete conventional system. Breakaways have magnetic technology and unlike other mechanical “ball and spring” breakaways, pull force is similar in either cold or warm temperatures. Goodyear Flex-steel hoses are constructed of a single braid of high tensile wire for strength and static conductivity. 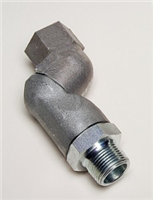 All 5/8" and 3/4" hoses have 3/4" NPT male ends. 1" hoses have 1" NPT ends. 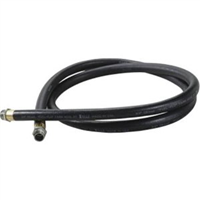 All 5/8" and 3/4" hoses are available with swivels. Swivels incorporate dual O-Ring seals, two for fuel resistance and two that remain flexible in severe cold.